PUERTO VALLARTA, Mexico -- Hurricane Patricia barreled toward southwestern Mexico Friday as a monster Category 5 storm, the strongest ever in the Western Hemisphere. 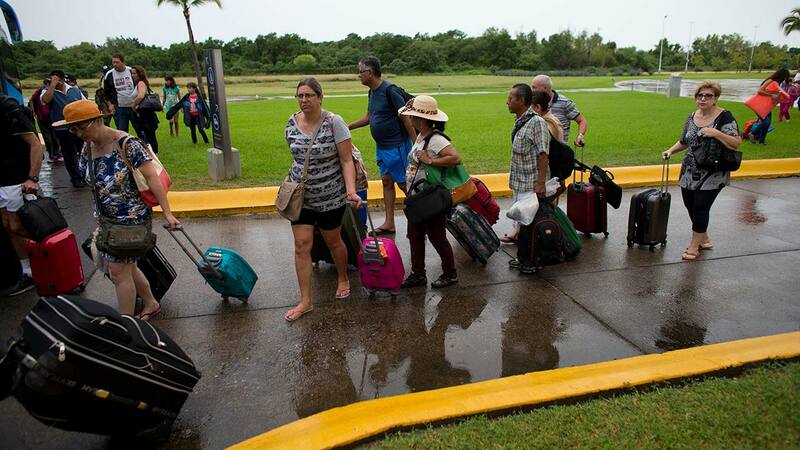 Residents and tourists were hunkering down or trying to make last-minute escapes ahead of what forecasters called a "potentially catastrophic landfall" later in the day. 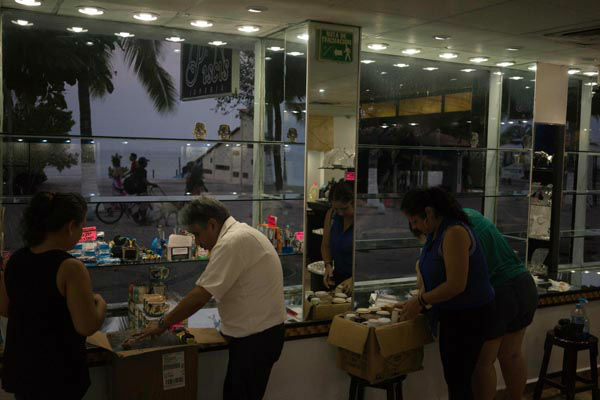 The storm was homing in on a Pacific coastline dotted with sleepy fishing villages and gleaming resorts, including the popular beach city of Puerto Vallarta and the port of Manzanillo. After hitting land, Patricia's projected path would quickly take it over mountainous terrain that is prone to dangerous flash floods and landslides. 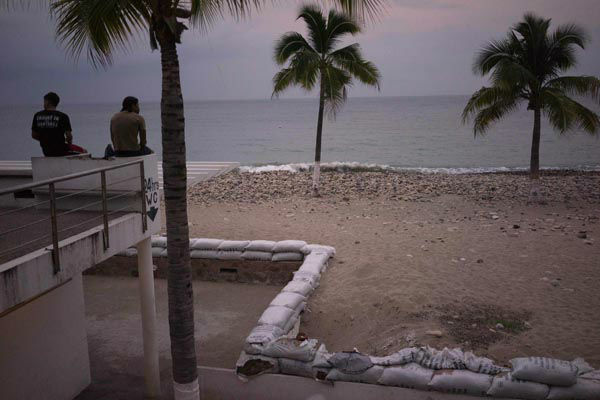 In Puerto Vallarta, residents reinforced homes with sandbags and shop windows with boards and tape, and hotels rolled up beachfront restaurants. The airport was closed to all flights and all but deserted, but lines formed at a bus station by people anxious to buy tickets to Guadalajara and other inland destinations. 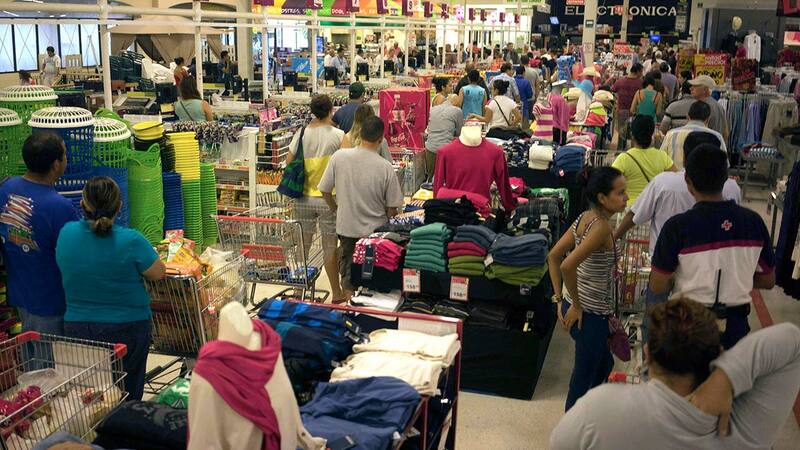 Fire trucks and ambulances rolled through the streets, sirens blaring, as emergency workers warned people in both Spanish and English to evacuate. For Jose Manuel Gonzalez Ochoa, that made up his mind. His family lives in their ground-floor chicken restaurant, Pollos Vallarta, and neighbors told them water was 5 feet deep in the street the last time a hurricane came through. Gonzalez Ochoa said the family was heading to a town 30 minutes from the coast. "We're better off heading up there already," he said. "The whole government is telling us to leave. You have to obey." Asked what preparations he would make for his business, he said he'd just close it up and see what's left after the storm passes. Patricia formed suddenly Tuesday evening as a tropical storm, turned into a hurricane just over a day later and kept building in strength, catching many off guard with its rapid growth. 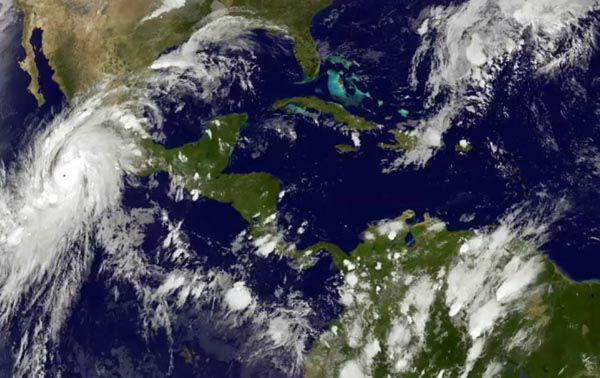 By Friday it was the most powerful hurricane on record in the Western Hemisphere, with maximum sustained winds near 200 mph (325 kph), according to the U.S. National Hurricane Center in Miami. 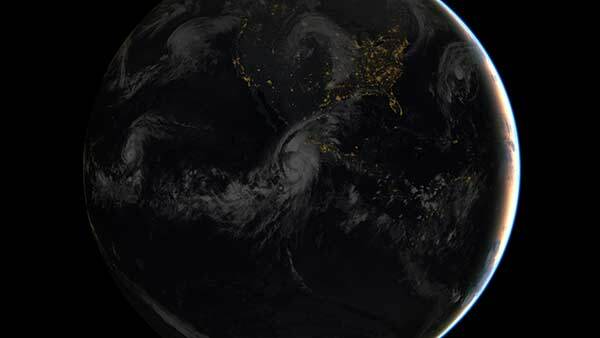 Patricia's power was comparable to that of Typhoon Haiyan, which left more than 7,300 dead or missing in the Philippines two years ago, according to the U.N.'s World Meteorological Organization. More than 4 million people were displaced and over 1 million houses were destroyed or damaged in 44 provinces in the central Visayas region, a large cluster of islands. By late morning, Patricia's center was about 125 miles (200 kilometers) southwest of Manzanillo, and about 195 miles (310 kilometers) south of Cabo Corrientes. The Hurricane Center said Patricia was expected to remain an "extremely dangerous" Category 5 hurricane through landfall late afternoon or evening, before weakening over the inland mountains. Mexican officials declared a state of emergency in dozens of municipalities in Colima, Nayarit and Jalisco states, and schools were closed. 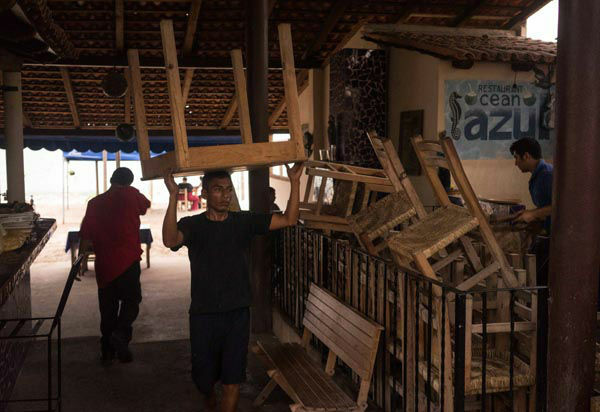 Many residents had already bought supplies ahead of Patricia's arrival. The government suspended tolls on the Guadalajara-Tepic highway to facilitate the flow of vehicles from the coast. 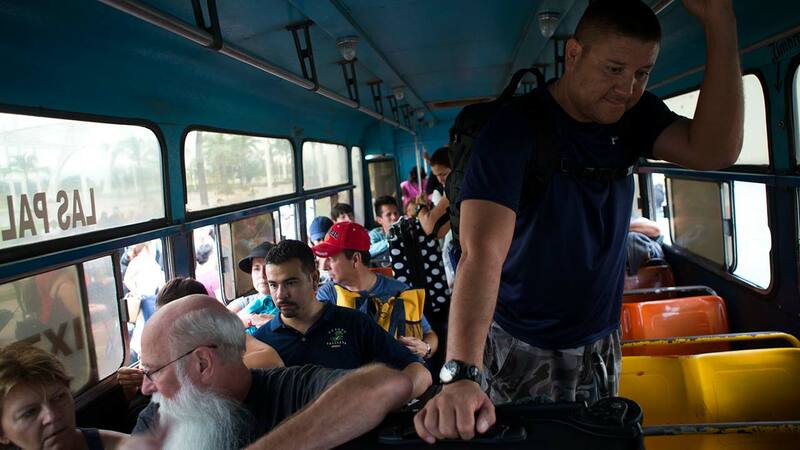 Evacuations were underway in Puerto Vallarta, with officials taking people to 14 shelters, mostly in schools, according to the Jalisco government's website. There were no immediate figures on evacuations, and few people were seen going to the shelters. Roberto Ramirez, director of Mexico's National Water Commission, which includes the nation's meteorological service, said Patricia's winds would be powerful enough to lift automobiles, destroy homes that are not sturdily built with cement and steel, and drag anyone caught outside when the storm strikes. 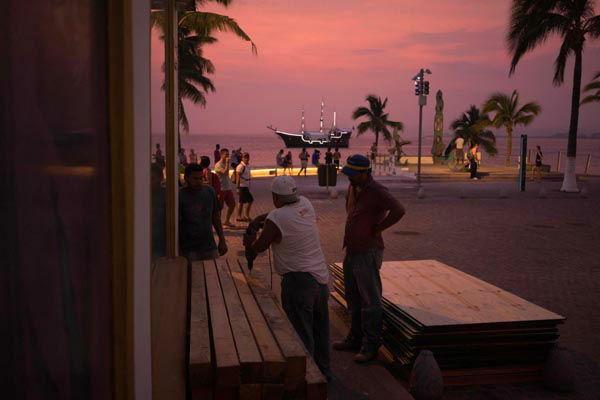 Civil protection official Daniel Garcia, dressed as a lifeguard in his red swimsuit and yellow poncho with a flotation device slung over his shoulder, walked along the Puerto Vallarta waterfront, advising everyone to move at least three blocks from the water. Previous hurricanes have shown that waterfront streets fill with sand and flying stones, he said. Most businesses were closing, but authorities were concerned that some business owners were telling employees to stay put as a security measure. "We need people to understand the magnitude of the hurricane," Interior Secretary Miguel Angel Osorio told Radio Formula. "It is a devastating hurricane, the biggest one ever registered." Osorio said the government was deploying soldiers and police, but did not say how many. 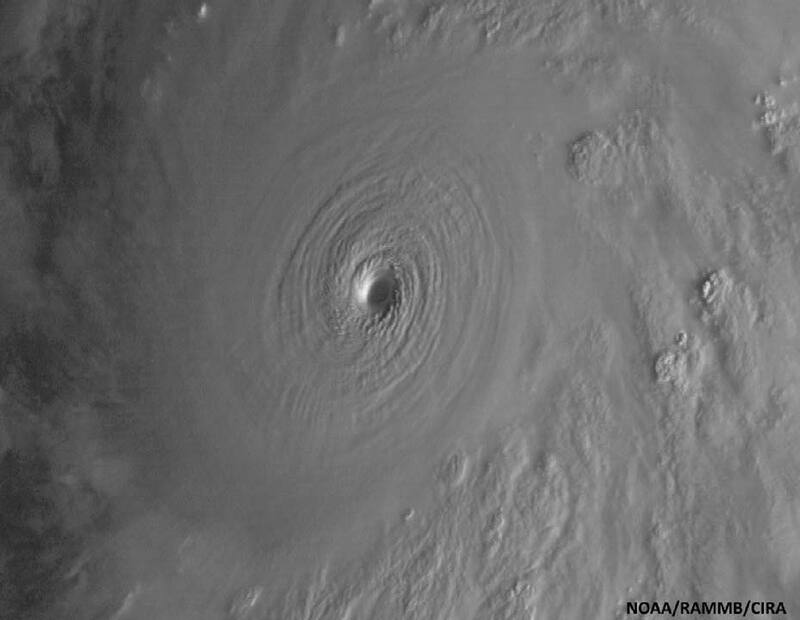 Meteorologists said Patricia's incredibly small 8-mile-wide eye wall would likely contract later in the day - a normal process that often weakens a storm slightly. But that may not be completely good news, because it would make the overall size of the storm slightly larger, said Jim Kossin, an atmospheric scientist for the U.S. National Oceanic and Atmospheric Administration. "It's looking like a very bad disaster is shaping up," said MIT meteorology professor Kerry Emanuel. In addition to an expected eye wall contraction, winds that restrain a storm are starting to pick up, so Patricia may weaken a bit to winds of about 175 mph at landfall - which would still be a top-of-the-chart hurricane, said Jeff Masters, a former hurricane hunter meteorologist. Kossin called Patricia "a three-pronged hazard" that will likely wreak havoc with high winds, salt water storm surge and inland freshwater flooding from heavy rains. 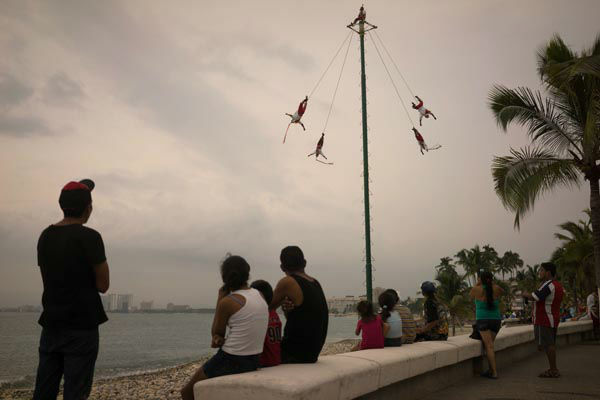 Three airports in Patricia's path were shut down: Puerto Vallarta; Manzanillo in Colima state; and Tepic in Nayarit. The lobby of the Sheraton Hotel in Puerto Vallarta was bustling Friday morning, with a long line of people forming to check out. More than 900 guests had rooms at the hotel the previous evening, but many wanted to get out of town before the storm arrived. Sandra Rojas and her husband, a veterinarian from San Jose, Costa Rica, were among those trying to leave. After loading their car, they were going to drive to Guadalajara to plan their next move. "The hotel is saying that nothing is going to happen," Rojas said. "But it's nature. Anything can happen." A hurricane warning was in effect for the Mexican coast from San Blas to Punta San Telmo, and a broader area was under hurricane watch, tropical storm warning or tropical storm watch. 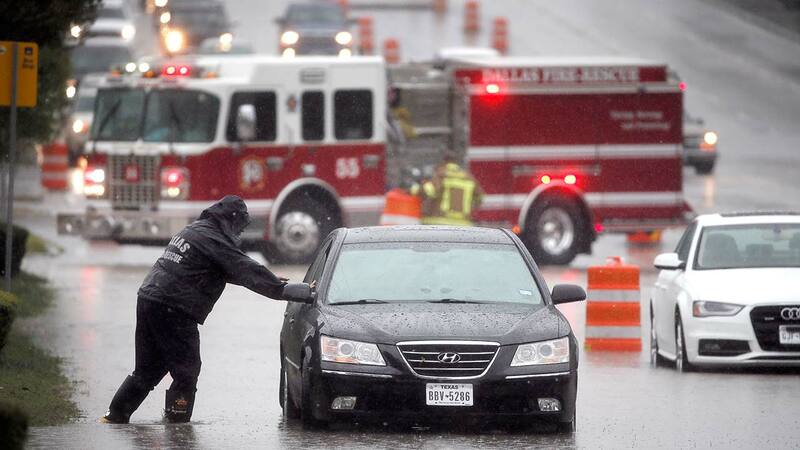 Patricia also poses problems for Texas, with forecasters saying that even after the storm breaks, up its tropical moisture will likely feed heavy rains already soaking the state. 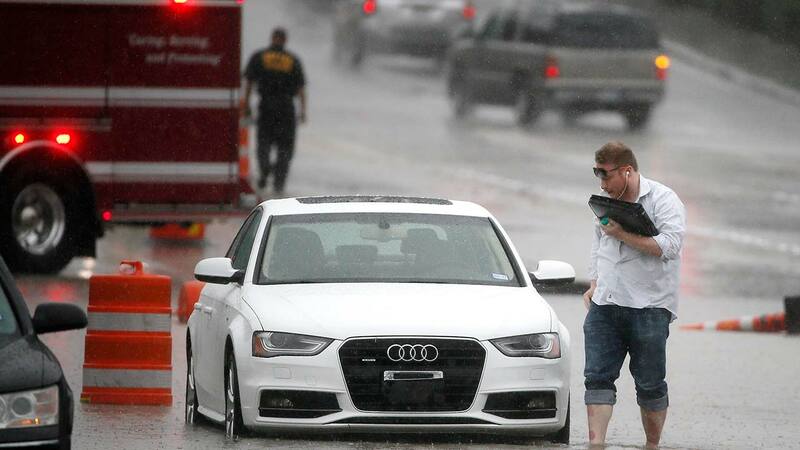 The U.S. National Weather Service said a flash flood watch would be in effect through Sunday morning for Dallas-Fort Worth, Austin and San Antonio. A coastal flood warning was in effect through Friday night in Corpus Christi. Galveston was under a coastal flood advisory until Saturday night.